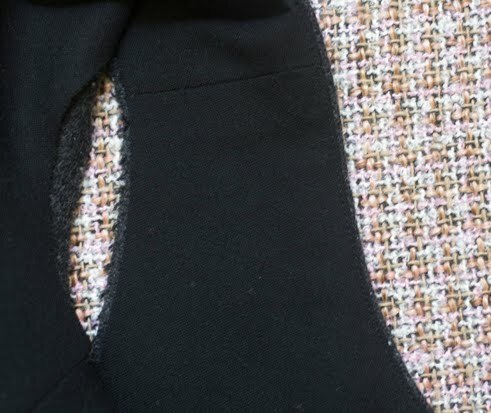 While I was making my grey tweed dress, I thought I’d also make a tutorial on how to sew an all-in-one neck and armhole facing. I have noticed a few facing-phobic sewers out there in blogland – so hopefully this will help someone! I am a big fan of facings – if they are well designed and correctly sewn they give a stable professional finish. I’m not usually a fan of lining right to the edge of a garment because a) it is cheap, b) it can be noticeable, c) it doesn’t wear so well, and d) self- fabric facings are just beautiful – full stop! First, check your pattern is correct, or draft your own facing – trace around the neckline/armhole area of your existing pattern pieces, then cut about 2-4mm off the neck and armhole edges to allow for cloth allowance. Transfer all neck and armhole notches to the facings. Sketch in the lower edge something like the shape above, and add a seam allowance to this edge if you plan on adding a lining. Before cutting your facings, blockfuse them – facings are one area where blockfusing really shows its worth! 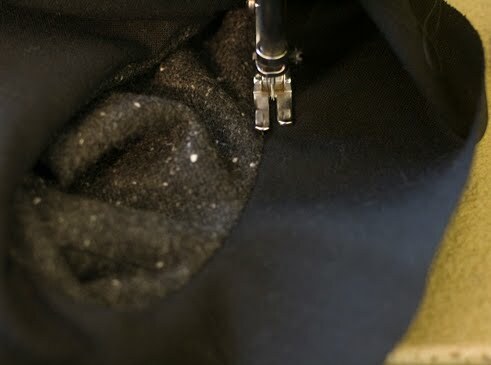 Sew the shoulder and side seams of your dress, and insert a centre back invisible zip. 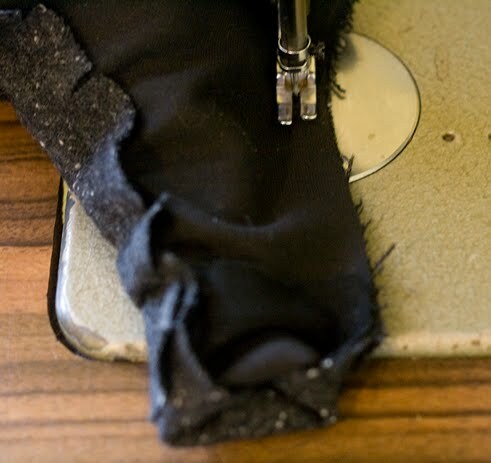 Sew the shoulder and side seams of your facings. Press seams open. 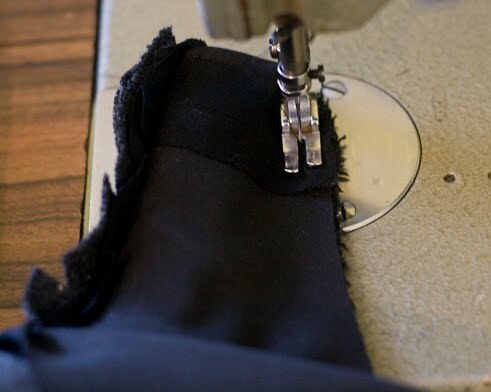 Now sew the back facings to the zip edge as in this tutorial, then sew the facings to the dress neckline, clip, understitch and press. 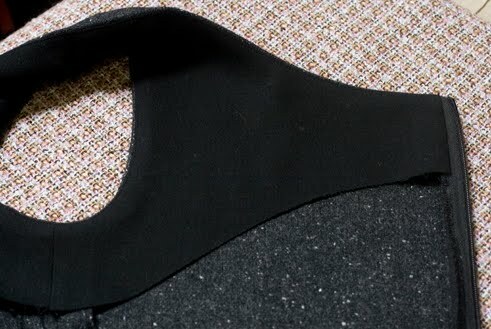 Now check your armholes – if you have estimated cloth allowance correctly, the raw edges of your facing should lie 2-4mm short of the shell as it does below. If you haven’t got it quite right, you can trim it slightly now (unless you are working in production, when you inform the patternmaker!). 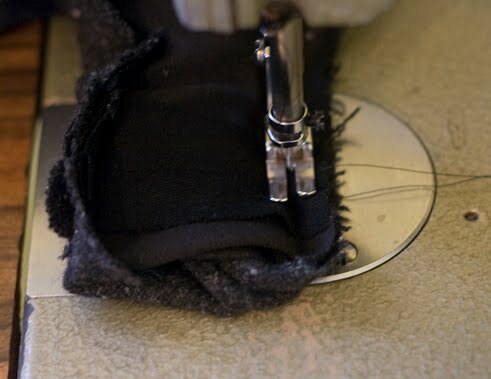 Sew down to the side seam, and up the other side, matching any notches and manouvering the fabric inch by inch as you go. It is important to align all notches and seams so that no twisting occurs, and try not to stretch the fabric around the curves. Take care also not to catch other layers in your stitching! If the shoulder strap is wide you will be able to understitch completely around the armhole but for this style (the straps were about 4cm wide) I could only stitch to within 3cm of the shoulder seam. Press, and admire your work. Both seams should roll towards the inside, so the facing is invisible from the outside – perfect! I hope this helps in your sewing! As usual, I am happy to answer any questions in the comments. And in case you are wondering, the boucle check fabric is soon going to be a Chanel jacket! Thank you dear Sherry for another great toutorial! Yesterday night I spend about one hour to work myself through your blog and your toutorials, great. I have sewn a similar dress like yours last year and it took me a few days of thinking, how to insert the lining, after all the thinking it is not as nice as yours. verry nice – it's always great to see how to get a professional finish on something – sometimes I like my own brand of home-made wonk but mostly I think, I would really really like to know how to do this properly.. Thanks for giving your thoughts on facings. I have been just lining to the edge of dresses. Must give this a try. Another great tutorial – thanks! I don't really like pulling through and sewing like this if I can avoid it though, so I always try to do facings by sewing shoulder seams only on garment and facings, then sewing them together at the neckline and armholes (leaving a gap at the beginning and end so I can sew the side seams, then finish the facings) and pulling the garment right way out through the shoulder seams before understitching and so forth. Is there a reason you don't do this that I should know about? It is such a treat to get these tricks from an expert! Thanks for the tutorial! I'm just about to start a dress, in which I'll probably use an all-in-one-facing. But I always thought the shoulder seams have to remain open when you start putting the facing in. I don't quite understand how you are twisting and sewing the armhole. I'm confused. Judy – I like the method you mention because everything is flat when you sew and this minimises distortion. And you can still understitch the neckline before you sew the armholes. The few reasons I can think of not to do it this way is if your shoulder strap is too narrow to thread the whole back panel through, or you want to insert a CB zip first. Also there is some double handling as you need to go back and finish off the neck and armhole edges, which is fine unless you're in a production line! As long as you are getting good results I wouldn't change! Stephanie – it is a bit confusing! I really needed more photos but couldn't hold the camera at the same time. From photo 4 I am basically turning the shoulder strap inside out, so the front strap lies between the back strap and facing. 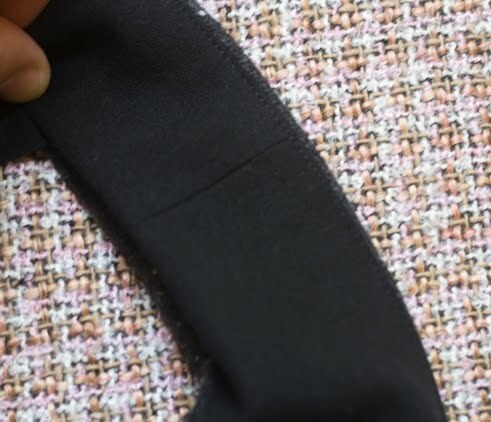 There is a method where the shoulder seams remain open, and BurdaStyle have a tutorial for this on their site – but you can't understitch the complete neckline using this method, which is preferable in my opinion. As you can see there are a few different ways! Also consider Judy's method above – I think it is quite straightforward. Thanks for this and your other great tutorials! I especially liked the ones about turn-of-cloth allowance and collar drafting. I just came across your blog recently and it is one of my new favorites! Hi Sherry, thanks for the tutorial. P.S I've just enrolled in your Oct pattern making course! Hi Sherry, thanks for the great tutorials! I would like to draw up a facing pattern for a dress I am about to make (Vogue 8577) as it doesn't have a facing – it's just fully lined. I wasn't sure I could do it but you make it look so simple! I'd never heard about cloth allowance before either, so I have a couple of questions…. (1)Do I subtract the cloth allowance from the neck and armhole edges ONLY? PS. I've just enrolled in your October pattern making course ! Hi Anna! Yes, you subtract it from only the neck and armhole edges, and sew with cut edges matching – as if you knew nothing was different! lovely! i have done something similar. i notice in rtw that they have a facing and then a lining. i think it looks so smart that way. thanks for the tutorial.